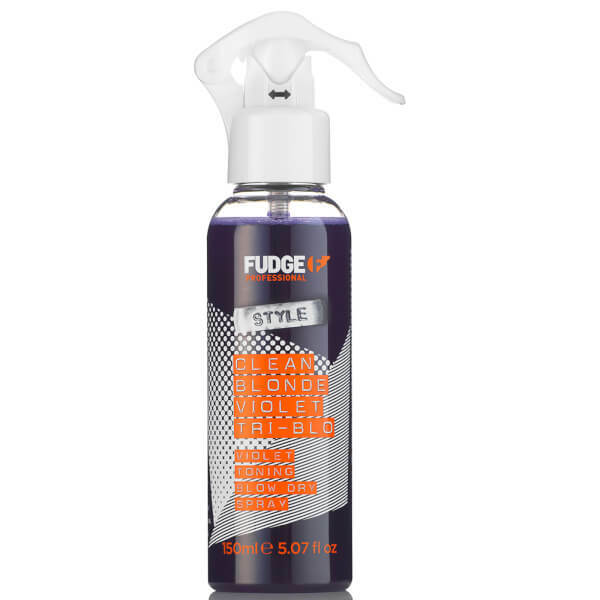 Catering specifically for blonde hair, the Fudge Clean Blonde Violet Tri-Blo Spray works to banish unwanted brassy tones and restore bright, salon-worthy locks in between washes. Powered by unique Invisi-Shield technology, the weightless, non-greasy spray provides heat protection to defend against styling damage up to temperatures of 235°C. Tri-action styling polymers smoothen and strengthen dry, damaged strands to leave them looking luminous and healthy from root to tip. Shake before use. Spray evenly to towel dried hair. Comb through to ensure pigment distribution before blow drying.